Digitally remastered edition. 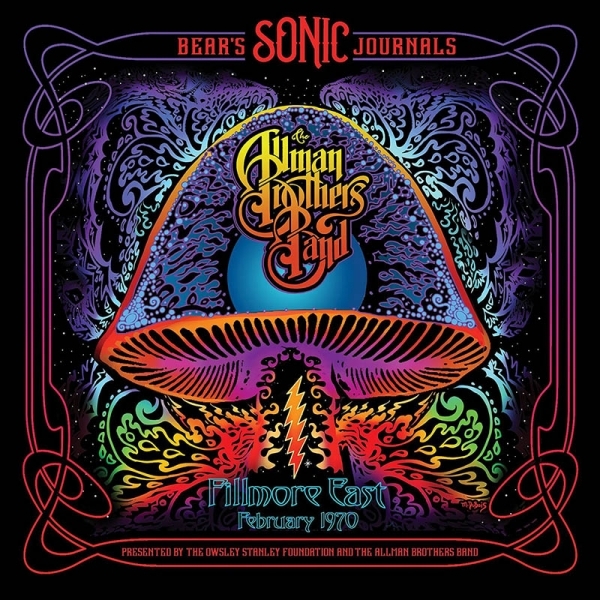 Sonically restored and mastered recordings of The Allman Brothers Band‘s performances at the Fillmore East on February 11, 13 & 14, 1970, captured by legendary Grateful Dead soundman, Owsley Stanley, AKA Bear, who is known for the purity of his Sonic Journal recordings. This is essential listening for Allman Brothers Band fans, showcasing an early incarnation of the band with Duane Allman in full form and featuring the earliest known live concert recording of "In Memory of Elizabeth Reed, " which had just been penned by Dickey Betts shortly before these shows. The tapes were recorded just one year before the band‘s landmark At Fillmore East album from the same venue. Long out-of-print, this set was freshly restored and mastered from original tapes in Owsley Stanley‘s archives, and includes all new album art and liner notes, including a series of rare band photos from the Fillmore East in February 1970, original cover artwork (Electric Mushroom), and new notes from The Allman Brothers Band and the Owsley Stanley Foundation.